You don’t need the latest fastest pc to get the best work done, but for a few hundred pounds per PC you can get performance gains of around 30-40%. Customers tell me that they are getting double the work done when you consider the cost of employing staff you definitely want them to be as efficient as possible! So whats the secret to achieve this? 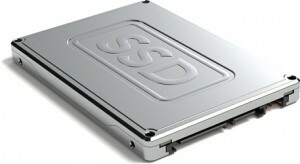 Solid sate drives are at least 3-10 times faster then old fashioned physical disks. Dual monitors give most users about a 30% performance gain – if you an accountant or switch between two programmes you must try it. We usually do the management first and they then call us back to do the rest of the company, If you are not using the PC enough to warrant the upgrade have you considered hot-desking? If you don’t believe me speak to some customers who have done this they rave about the improvement, with some staff saving 2-3 days a WEEK! you really should consider if you want to spend on technology or staff!